Another year, another KISS compilation. Let’s not blame the band on this one, Universal Music owns the band’s catalog and can keep pumping them out. So what’s different here this time around? Well, KISS is celebrating their 40th anniversary and this two disc set is the latest and greatest package of the “Hottest Band In The World”. There’s a few things that might make this compilation worth it for both the diehards and the casual KISS fan. Starting with the booklet…..it’s a smooth high glossy booklet that includes pictures of all eras of the KISS lineup through the last tour, album artwork, iconic photos and it even includes a couple of pictures of Vinnie Vincent and Mark St. John in the band. For me, a booklet is a booklet when it comes to a KISS compilation. After being a fan for 37 years, I know the songs, I know the lyrics, I know the KISStory so I don’t really pay much attention except for the initial reading. The high quality glossy pages are great and I wish more booklets were like this and I also like the fact that all lineups and albums were pictured. Basically, it’s for the casual fan to get a quick 18 page visual history of the last 40 years. The tracklisting is pretty good with a few surprises mixed in. 40 songs for 40 years with each album represented by at least one song, including all the live albums, the Double Platinum greatest hits, the solo albums, the Killers album and even The Box Set. While some fans will debate the tracklisting, it’s a really good representation of the band’s overall catalog. You’ve got the big hits with ‘Beth’, ‘Rock And Roll All Nite’, ‘Shout It Out Loud’ and ‘I Was Made For Lovin’ You’ from the classic makeup era but you also get a single track from each solo album, ‘Shandi’ from Unmasked, ‘A World Without Heroes’ from The Elder and ‘I Love It Loud’ from Creatures Of The Night. The biggest surprise for me was the inclusion of ‘Down On Your Knees’ from Killers because I didn’t think that the album would be represented seeing that it was only released everywhere but North America. I might have replaced the proper single from the Paul Stanley solo album, ‘Hold Me, Touch Me’, with ‘Move On’, the song they played on the 1979 tour but that’s just personal preference. ‘Lick It Up’ and ‘Heaven’s On Fire’ start the non-makeup era and end the first CD. 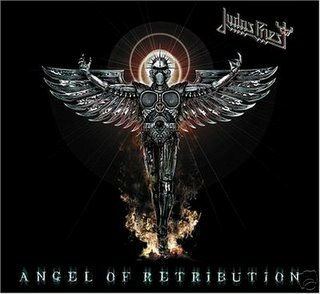 There are two demos on this first disc: ‘God Of Thunder’ and ‘Reputation’. The ‘God Of Thunder’ demo was previously released on the KISS Box Set and has Paul Stanley singing vocals while ‘Reputation’ is a Gene Simmons demo that is previously unreleased. For the casual fan, maybe the album version of ‘God Of Thunder’ would be better, the diehards that bought the box set already have it. ‘Reputation’ is a cool oddity but I believe other versions of this demo have circulated through trading circles, a nice inclusion for those people who don’t collect KISS demos. The second CD starts off with the big hits from the mid to late ’80s (‘Tears Are Falling’, ‘Reason To Live’, ‘Forever’) and moves into the ’90s with ‘God Gave Rock ‘N’ Roll To You II’ and ‘Unholy’. Let me stop right there and say that Revenge was a great album and that it should be represented by the studio version of ‘Unholy’ rather than this live version from Alive III. I also can’t stand ‘God Gave Rock ‘N’ Roll…’ but it was a single and…. 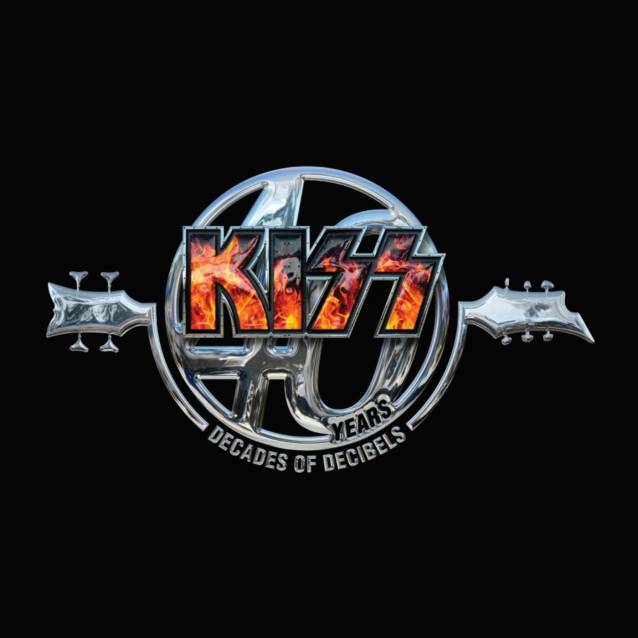 The Reunion era is represented with ‘Psycho Circus’ from the reunion album of the same name and we get the ‘Jungle’ single from the shelved Carnival Of Souls album that was released in the middle of the Reunion but featured the last non-makeup lineup…..more KISStory there than I want to type! The rest of the CD consists of live tracks, both of the latest singles from the newer albums (‘Modern Day Delilah’ and ‘Hell Or Hallelujah’) from Sonic Boom and Monster. Of the live tracks, ‘Deuce’, ‘Cold Gin’ and ‘Crazy Crazy Nights’ are all previously unreleased and feature the bands current lineup of Gene, Paul, Eric Singer and Tommy Thayer from the tours in 2004, 2009 and 2010 respectively. What surprised me here on Disc 2 is the major classics that were represented as live versions and the inclusion of the of both songs from Sonic Boom and Monster, especially ‘Modern Day Delilah’ because Sonic Boom was a Wal-Mart only release and Universal doesn’t own the rights to it so they had to pay for it’s use. I’m allowing myself one more rant…..there is no reason to have ‘Nothing Can Keep Me From You’ on this compilation. I don’t consider it a KISS song, even though technically it is, because only Paul Stanley performs on it and it was a collaboration with songwriter Dianne Warren to try and get a hit with a ballad like Aerosmith did with ‘I Don’t Want To Miss A Thing’ the previous year. It was a throwaway as the credits rolled for the Detroit Rock City movie and the song never charted. Personally, it’s the worst song in the KISS catalog. Rant over…..
I’m a diehard KISS fan with 37 years of service so I buy new releases by the band when they come out but I’m very picky when it comes to these compilations/greatest hits packages. I like this one though and I definitely dropped my $15 at the record store for my copy! The book is great because it shows some care and effort. I haven’t analyzed it for errors but it’s a nice montage of KISStory. 40 songs for 40 years on two CDs, that’s value for $15 and you get a pretty good overview of the band’s career. There’s a few misses in my opinion as far as the tracklist but the powers that be kept it to the hits/singles with a few curveballs thrown in. This was a must buy for me because of the four unreleased songs, especially the live tracks. Ask most KISS diehards and they probably bought this too. Definitely one of the better releases in a long line of KISS hits packages. Here’s to another 40 years! If you are a band, label or publicist that would like to have albums reviewed, news posted or interviews scheduled.....or you just want to get in touch with Heavy Metal Addiction.....please use the email and mailing address below. State of the Blog address…..
Are you a Metal addict? 2,212,072 addicts got their fix!